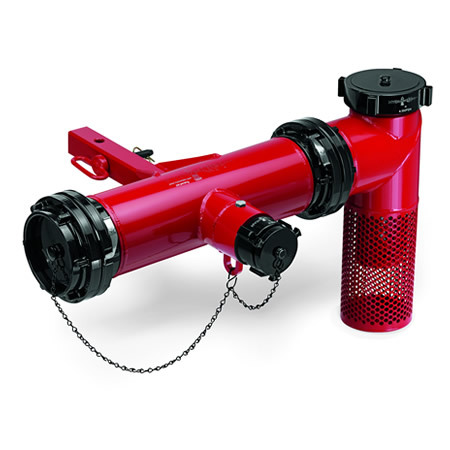 The Hydro-Hitch can be quickly connected to either a 2-1/2" or 5" Storz and the 2-1/2" port or the pumper port on your hydrant. It has the ease of tablet dechlorination with adjustment capabilities. The Hydro-Hitch connects to your truck's hitch receiver and remains there for use when needed. 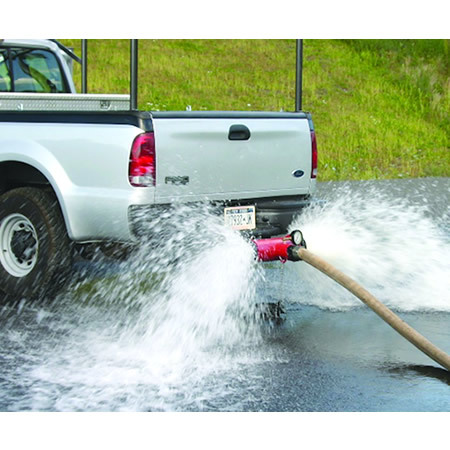 Running a hose between it and the hydrant gives you the discharge on the pavement behind your truck, not on the landscaping around the hydrant. A durable unit all around.